Morning DME-FRA in business. The catering was clearly done in DME (as opposed to FRA) because cold cuts / vegies were equally as discussing and stale as they were in the lounge, the chunks of smoked salmon were smelly (also strikingly similar to salmon I tried in LH/OS lounge) and the omlet was hard and barely edible with mystery tomato sauce. I understand challenges of catering from outstations, considering sanctions over Russia etc but come on, I had better food in SU Y. With food being one of the few small differentiators between Y and C on European flights, this was a disappointment, especially on early morning flight when it's impossible to get breakfast in the hotel. Edited to add: food on outbound flight from FRA was decent (sorry no pictures), so I assumed the problem was limited to DME catering. That, I'm afraid, is pretty much the standard [in terms of catering] of short/medium haul's business class within Europe, with the rare exceptions being LOT, Austrian, Air France (much improved recently) and I hear (I've never flown with them) Aegean as well. I am afraid my Air France were very much school cantine dinners, really not good. At a gastronomic level, I think KLM is doing ok at the moment. Equally, SWISS is pretty poor these days. worldclubber and mmff like this. I tend to skip breakfast in all cabins classes these days, as it is generally terrible. Applies to both short- and long-haul, unfortunately. The catering does not help much to differentiate short-haul J from Y, so I have started to book Y for short hops. 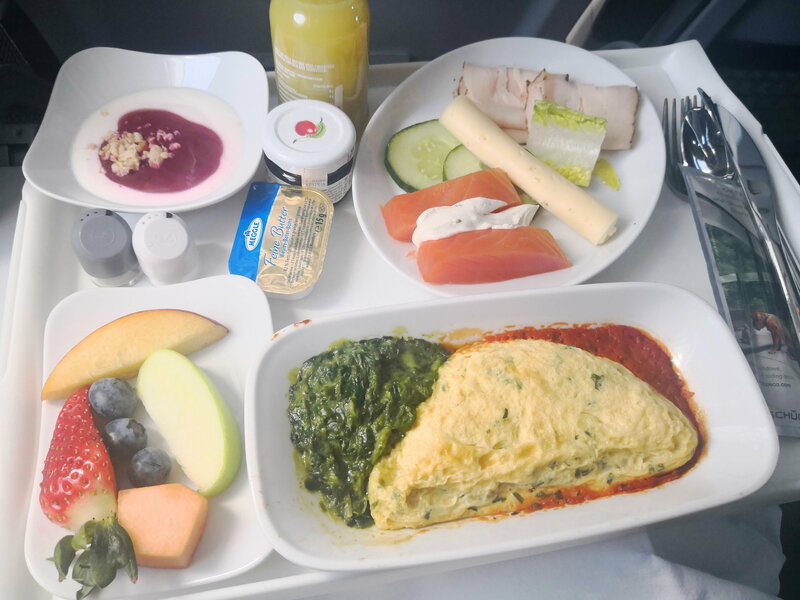 I tend to eat the breakfast on short haul, rather than long haul when I have connection coming back from overseas. At least typically fresh.